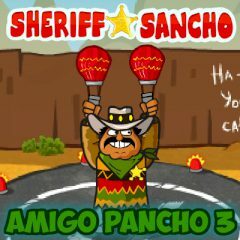 The third part of the cool game about Sheriff Pancho. He is probably the first flyer in the world. Help him fly through a dangerous canyon and survive! Nothing more to say - it's just FANTASTIC!